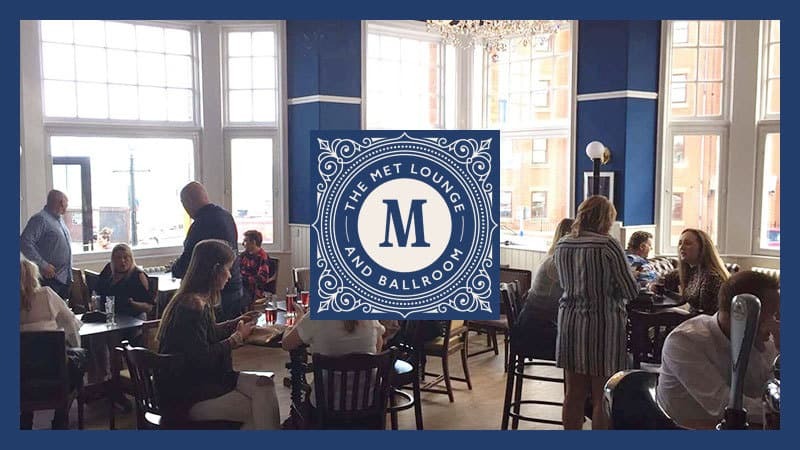 The Met Lounge and Ballroom in Whitby is a fantastic place to eat, drink and relax this summer on your visit to Whitby. With a large terrace area and beer garden this is the premier place to enjoy a few drinks after a day at the beach. 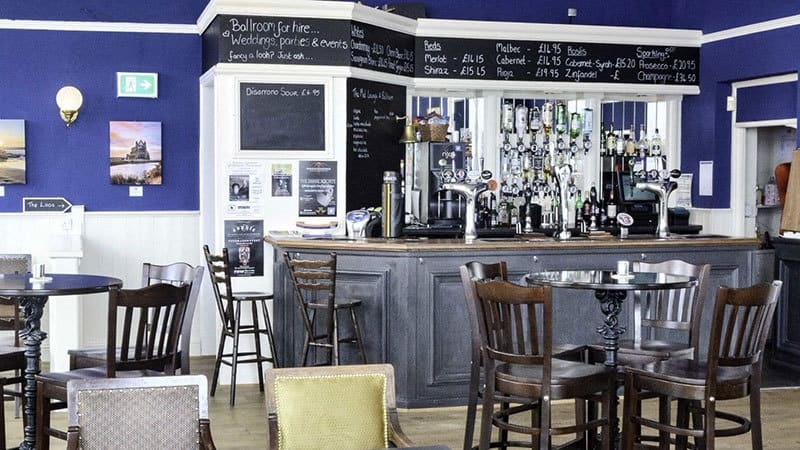 The Met Lounge has Sky Sports, boasts an extensive, fully licensed bar, and serves tasty bar meals either in the spacious bar area or out front on the terrace and beer garden. Enjoy a refreshing moment at one of the best Whitby pubs with sea views. Walk along North Terrace out of Whitby town, taking in the dramatic views of the North Sea and, in the distance, the headland of Sandsend Ness, you’ll come upon a large building named Metropole Towers. Built in 1897, this grand old place was formerly a The Metropole Hotel, the first in Whitby to have electricity. 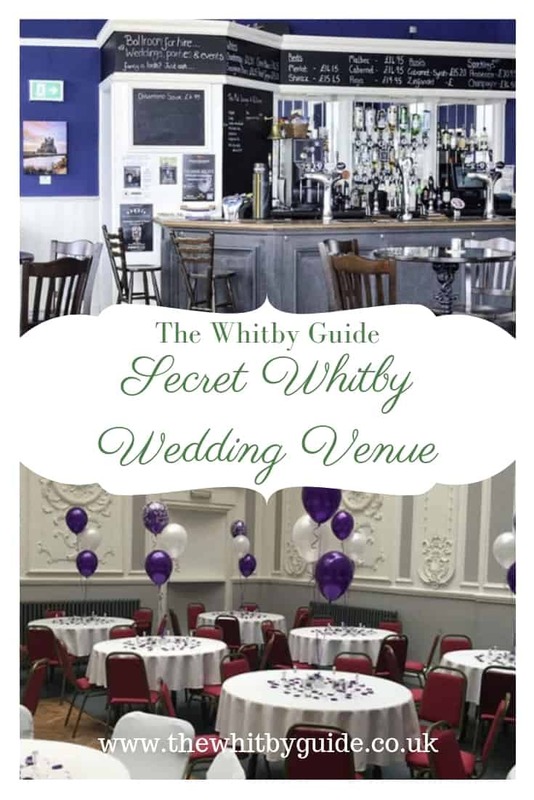 The Met Lounge and Ballroom is one of Whitby’s best kept secrets. This fantastic venue has been extensively renovated to a very high standard by Justin Bray of the excellent Grantley House and opened to the public in November 2016. The Met Lounge is a modern take on the classic sports bar showing all the major sports events including football, boxing, motor racing, horse racing, athletics and cricket. There is also live entertainment of an evening so there’s always a reason to visit, day or night. The bar is well stocked and caters for a wide variety of tastes for the thirsty holiday maker. It is also possible to dine at The Met Lounge. All your favourites are available in the bar or on the terrace beer garden. Relax in the bar in one of the comfy chairs or mooch about on the terrace beer garden; wherever you find yourself in The Met Lounge you’re sure to have an uninterrupted view of the North Sea crashing against the shore and the distant Sandsend Ness headland. This place will be buzzing in summer with the salty scent of the seas air, the sound of the gulls swooping down for a tasty treated and all the action happens in real time whether you’re watching the latest sports spectacle or simple whiling the day away with a a view of the epic North Yorkshire Coast – at The Met Lounge you have it all. The Met Lounge is very definitely a family friendly pub in Whitby. There are a selection of board games to keep children entertained come rain or shine. There’s karaoke for the budding pop stars out there and there’s all the practical touches that make this venue a superb choice for a few hours of rest and relaxation with the whole family. The Met has a spacious baby change and high chairs for those with babies and an easy access ramp for those with pushchairs, free WiFi for all those small devices, and there’s colouring books for all the budding artists. Sunday lunch at The Met Lounge is available from 12 noon until 2 o’clock in the afternoon. Booking is advised during the summer months and for larger groups to avoid disappointment. If you misroute on the delicious feast that is a roast dinner at The Met, then fear not because a full menus available including all your favourites such as fish and chips, steak pie, burger, pizza and a selection of tasty starters and desserts too. With expansive and uninterrupted views of the coast The Met Bar affords guests a rare and thrilling prospect – the chance to se the sun rise and set into the sea. Possible during the months of June and July, this wonderful and rare phenomena occurs in just a few places in the UK and this is one of them. Be sure to pay a visit to The Met Lounge this summer to see this natural wonder. The Met Ballroom is the place to go in Whitby for live music and entertainment. 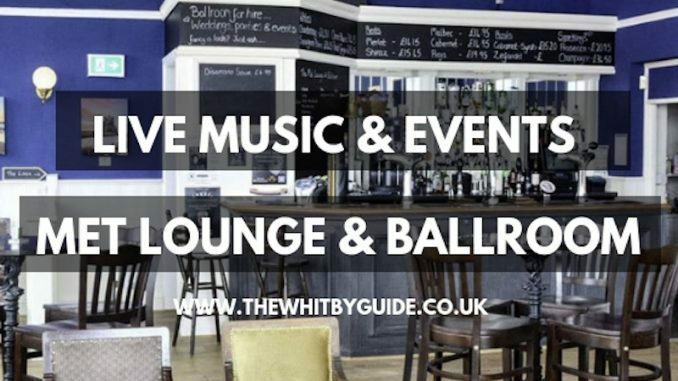 Featuring local talent as well as acts form around the region, The Met Ballroom is carveout an enviable reputation as one of the best live music venues in Whitby. The roster of acts is extensive and bills acts weekly on a Friday and Saturday night. Events at The Met tend to sell out quickly is be sure to check the Facebook page for the latest guide to whats on and be sure to bag a ticket. I know. I know what you’re thinking – how can this amazing venue possibly get better? Well, it just did! 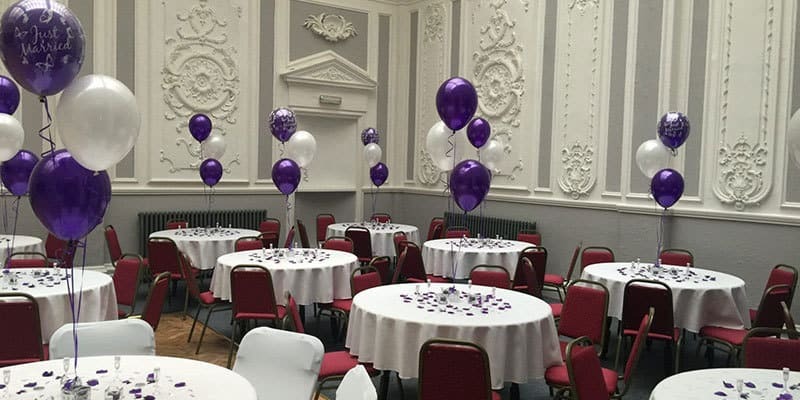 The Met Ballroom is now available for private hire for your special day. You can book the prestigious and historic Met Ballroom for your wedding day. Your special day at The Met Ballroom is just the tonic for those with a passion for classic Victorian architecture, personal service and a seaside style that sets a stunning backdrop for your wedding day celebration. Just think of the photographs! Justin will help to create the perfect day at this amazing venue. Working closely with local producers to bring your the finest locally sourced feast for your guests, the food for your wedding is in safe hands at The Met. This flexible and stylish venue can be arranged to accommodate large weddings of a hundred plus guests in comfort or the space can be configure to sit twenty friends for that intimate birthday celebration meal. Whatever your occasion, the Met Ballroom has it covered. Love Met Lounge & Ballroom? Pin It!